The leaves are turning brown, the air is feeling crisp and the nights are drawing in, this can only mean one thing, autumn is upon us! Summer is the season for spending time outdoors, but autumn and winter are made for spending time in your home. So to help you have an enjoyable and cosy autumn at home, we’ve put together a selection of our favourite home décor ideas using products from our reclamation yard. Who says enjoying the outdoors has to stop now that summer is over? Thanks to our reproduction lamps, you can bring the outdoors into your home this autumn! 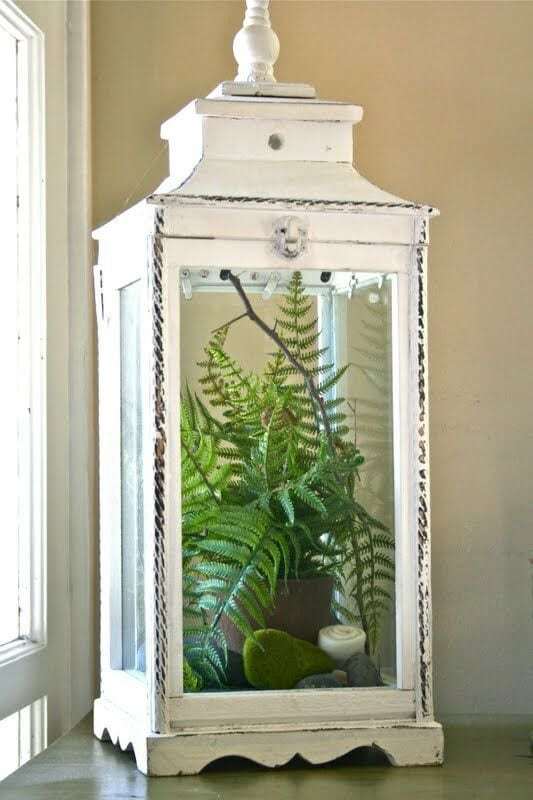 Simply add your favourite plant inside a lantern and it will feel as if you’re gazing out into the garden, but from the warmth and comfort of your sofa. Getting out of bed on a cold autumn morning is never fun, especially when you have to sit in a cold dining room to eat breakfast. So to solve this, have breakfast in bed! 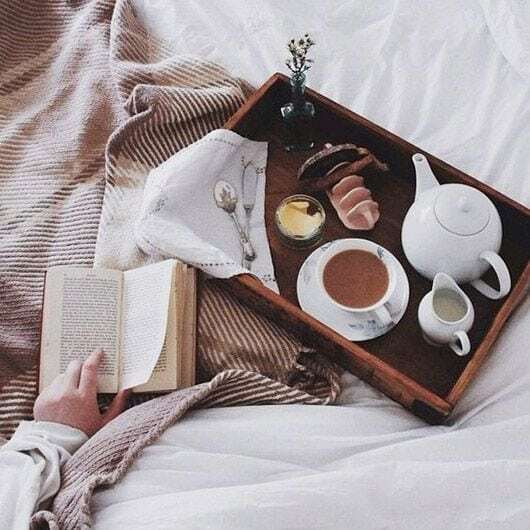 Our reclaimed oak planking is ideal for your breakfast tray, and not only will you impress your other half with breakfast in bed but with you DIY skills too! 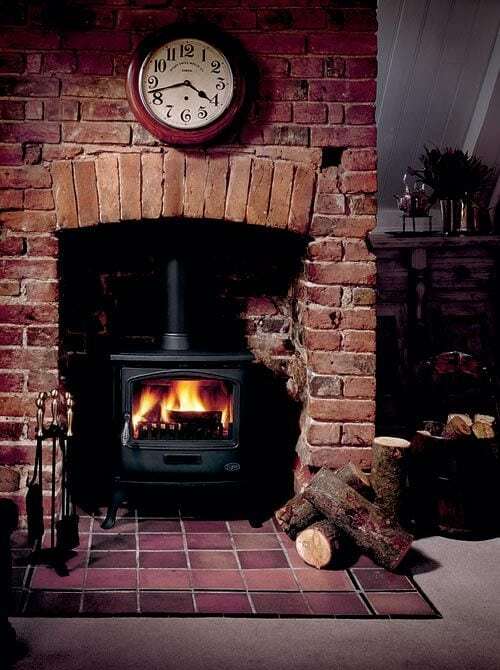 Transition into autumn with the trustiest home interior of them all, a traditional wood burner! Whether your lounge is big or small, this set up is easy to replicate with our reclaimed wood burner, reproduction imperial red bricks and quarry tiles. Day or night, gather your friends and family and sit around the fire and get yourself in the wintry festive spirit! 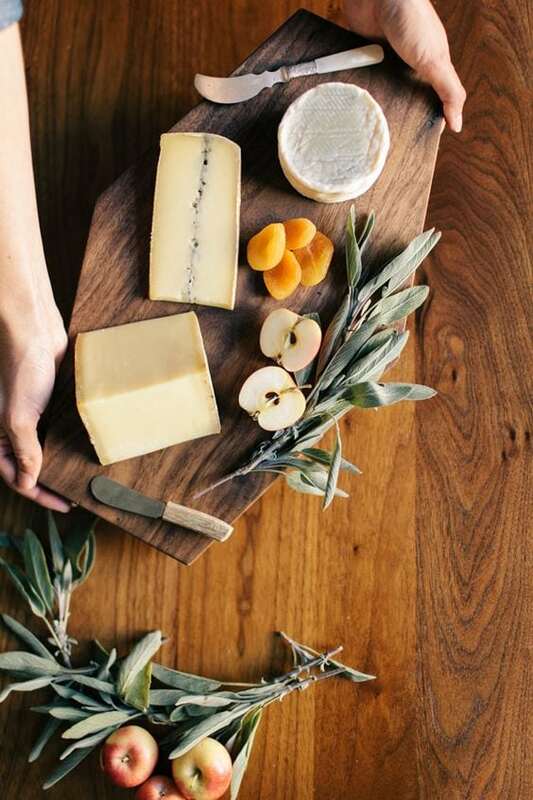 What’s better than spending an autumn night with the fire burning, in front of the TV with loved ones whilst enjoying a delicious cheese platter? Having a homemade cheese board to eat from of course! Our reclaimed hardwood timber is perfect for sculpting into any shape and design, and with a little sanding down it will be ready to use in no time! Since you’ll be spending more time at home over the next few months, you’ll need nice things to look at! 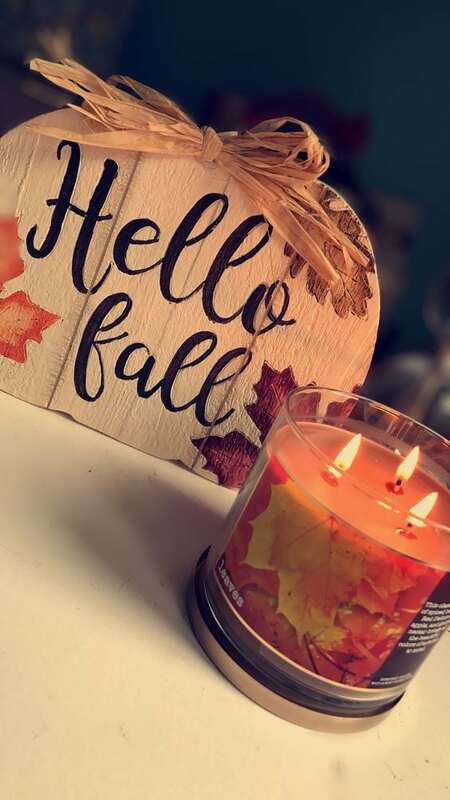 This autumn inspired wall art is the perfect décor in any home and it’s super easy to make. Simply take some of our pine flooring, shape it into a pumpkin (or whatever takes your fancy) and then add your own message. This is also a fun activity to get the kids involved in!